Kronomyth 2.0: Regatta de Blah. The band’s first album was a perfect, fussed-over affair and its songs were really short stories that felt lived in. The material for their second album feels fragmentary and unfinished by comparison, save for the brilliant “Lady Writer.” The difference has occasioned many critics to regard Communique as a sophomore slump and, truth be told, it is a step down from the lofty heights of their debut. Regatta de Blanc wasn’t a great album either. The material for Communique was recorded shortly after the release of their debut and finally issued one year later. 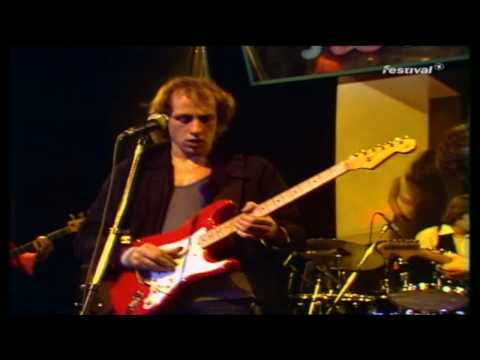 You get the sense that, given more time, Mark Knopfler could have turned “Portobello Belle,” “News” and “Single-Handed Sailor” into compelling narratives as he had on “Sultans of Swing,” “In The Gallery” and “Wild West End.” The characters on Dire Straits felt real, but you only catch glimpses of them on Communique. Initially, it seemed this might be a concept album re-imagining the modern world as a new wild west, but that imagery fades after the first two tracks for the usual street-level observations. Musically, the band continues to impress, particularly the guitar interplay from brothers Mark and David. The production from Jerry Wexler and Barry Beckett (last seen on Bob Dylan’s Slow Train Coming) is also top-notch and makes the Dylan-Dire connection even clearer. As a very smart woman once said, you have your whole life to make your first album and only weeks to make your second. 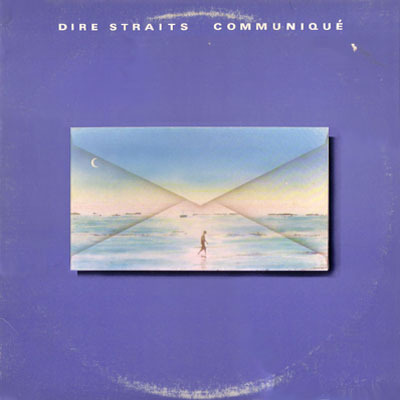 The timing and history have occasioned critics to call Communique a pale imitation of their debut, but I don’t have the sense that Dire Straits were trying to imitate anything. Long before the release of Communique, the band had already folded many of these songs into their live set (e.g., “Angel of Mercy,” “Lady Writer,” “Communique,” “Where Do You Think You’re Going?”), and it’s fair to see the material presented here as part of a broader picture of a brilliant band through a relatively short window of time. It isn’t a masterpiece, but you’d have to hold both hands over your ears not to hear the artistry in it. All titles written by Mark Knopfler. John Illsley (bass & vocals), David Knopfler (rhythm guitar & vocals), Mark Knopfler (vocals, lead & rhythm guitars), Pick Withers (drums) with B. Bear (keyboards). Produced by Jerry Wexler and Barry Beckett; engineered by Jack Nuber; mix engineered by Gregg Hamm; taper operated by Thelbert Rigby; sound effects by Clack Inc. Sound Studios. Back cover portrait photos by Barry Schulz. Design by Hothouse. Art direction by Alan Schmidt. Cover illustration by Geoff Halpin. Released on elpee, cassette and 8-track on June 15, 1979 in the US (Warner Bros., HS/W5/W8-3330), the UK (Vertigo, 9102 031/7231 021), Brazil, Germany, India and the Netherlands (Vertigo, 6360 170), Canada (Mercury, SRM/MC8-1-3791) and Yugoslavia (RTB, LP-5964) with picture innersleeve; reached #11 on the US charts (RIAA-certified gold record) and #5 on the UK charts. 8-track features different track order. Re-issued on compact disc in 1984 in the US (Warner Bros., 3330-2). Re-issued on compact disc in 1989 in Brazil (Vertigo, 800 052-2). Re-released on remastered compact disc on July 5, 1996 in the UK and the Netherlands (Vertigo, 800 052-2). Re-issued on remastered compact disc on September 19, 2000 in the US (Warner Bros., 47770). Re-released on 180g vinyl elpee in 2000 in the UK (Simply Vinyl, SVLP 196). Re-released on super high material compact disc on October 22, 2008 in Japan (Vertigo/Universal, UICY-93728). Re-released on super audio compact disc on July 20, 2011 in Japan (Universal, UIGY-9505). Re-issued on SACD on February 22, 2012 in Japan (Universal, UIGY-9519). Re-issued on SHMCD on February 20, 2013 in Japan (Mercury, UICY-25352). Re-released on platinum SHMCD on August 27, 2014 in Japan (Universal, UICY-40084). Re-issued on SACD on November 26, 2014 in Japan (Universal, UIGY-9635).